IGNOU is a large university and many time we face mistakes by IGNOU officials or sometimes, we make mistakes in our Admission Forms, in that case we need to make a correction in IGNOU Database so our Degree and other details can match for other official work. You can easily Change your Address or make any correction in your Name and Address in IGNOU. 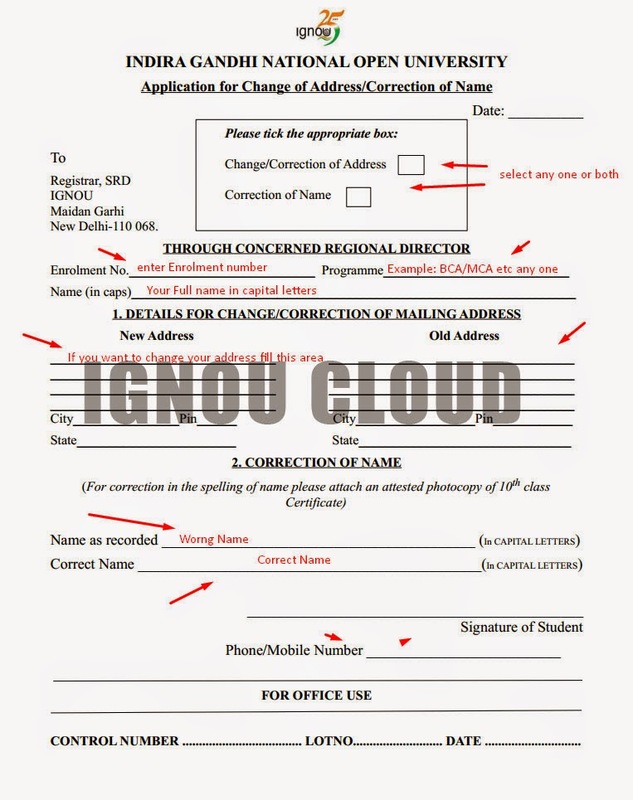 Download This IGNOU Form to Change/Correct Address and Name. If IGNOU showing your name spelling worng. If you want to update new Address of yours. This form will not work if you want to change your name, it works only for correction or any other mistakes.